Activision gloats that its Call of Duty franchise is again the "biggest entertainment launch of the year", after revealing a return of $500m (£316m) from day-one sales of Black Ops 2. The figures come compiled from three sources: Chart-Track, retail customer sell-through information, and internal company estimates. We're unsure just how much the latter affected the final number, ahem. “Life-to-date sales for the Call of Duty franchise have exceeded worldwide theatrical box office receipts for Harry Potter and Star Wars, the two most successful movie franchises of all time,” boasts Bobby Kotick, CEO of Activision Blizzard. If figures are to be believed, they seriously dwarf the $360m Activision made through day-one sales of the original Black Ops and step things up from the $400m it raked in through Modern Warfare 3s first 24 hours on sale too. More to the point, it puts Microsoft in its place, thrashing Halo 4's recent $220m opening day splurge by more than double. To be fair, the latter was only launched on the single console, though. 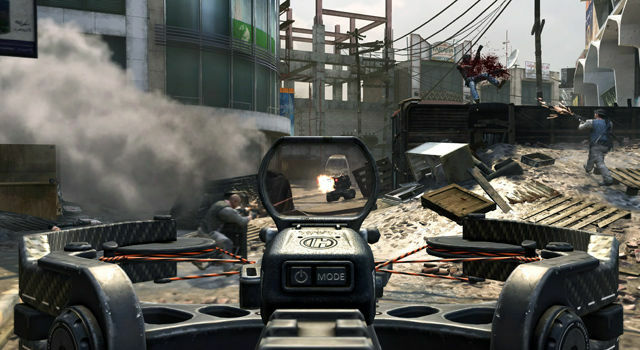 Reports prior to release suggested Black Ops 2 may struggle to make the same stupendously high profits as its predecessors. This was due to a general 25 per cent drop across game sales as a whole this quarter. Fat chance, doomsayers. The game was clearly always destined to join the current high-performing exceptions to the rule such as Dishonored and Fifa 13. The world+dog has seen it coming, the Black Ops 2 pre-order figures suggested as much. Hell, we knew it would fly off the shelves in a flurry, long before the game was even announced.